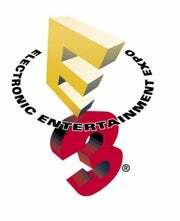 Holy Smoke, There Will Be E3 2009! As we do every year, we're beginning the process of surveying exhibitors and attendees to determine potential changes to the Summit. Once this is completed and shared with the ESA's Board of Directors, we will make an announcement about the specifics of the 2009 E3 Media & Business Summit, which will occur. Maybe they'll move it back to Santa Monica again to keep everyone on their toes. Or how about Pasadena? Bring it to Orange County!